EVERETT, Wash. 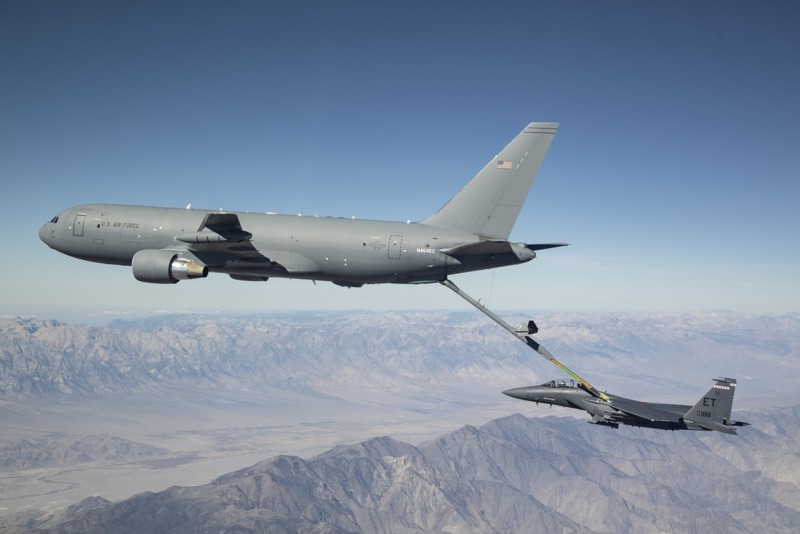 The U.S. Air Force and Boeing completed Phase II receiver certification under the KC-46 Tanker program following three weeks of flights tests with F-15E aircraft out of Edwards Air Force Base, California. 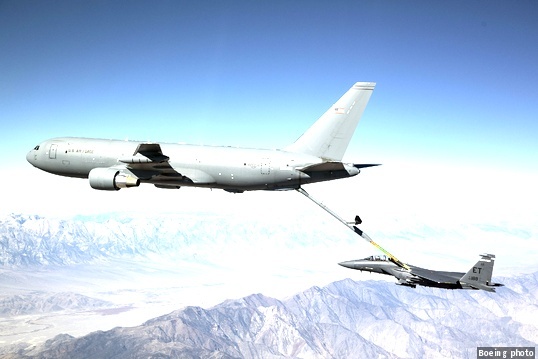 During the certification flight tests, KC-46 and receiver aircraft flew at different airspeeds, altitudes, and configurations to ensure compatibility and performance throughout the refueling envelope of each receiver. Moving forward, the Air Force and the Aerial Refueling Certification Agency will review all test data and paperwork before ultimately “certifying” each aircraft. In April 2018, Boeing and U.S. Air Force KC-46 crews kicked off receiver certification testing with F-16 aircraft. The joint team also completed testing with KC-135, C-17, A-10, KC-46, B-52, and F/A-18 aircraft. Six test aircraft have now completed more than 3,700 flight hours and supplied more than four million pounds of fuel in flight to receiver aircraft, Boeing reports. Boeing is currently on contract for the first 52 of an expected 179 tankers for the U.S. Air Force. The KC-46A is a multirole tanker that can refuel all allied and coalition military aircraft compatible with international aerial refueling procedures and can carry passengers, cargo, and patients.